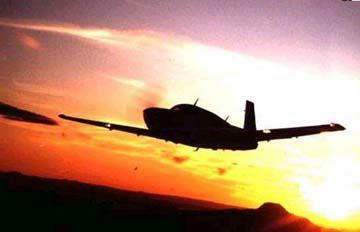 Over 100 presentations were made in 2004 and 2005 to EAA Chapters, Flying Clubs, and Civil Organizations. Over $71,000 has been raised for ALS research. Please contact CarolAnn, below, if you are interested in a presentation in your area in 2007. The presentation covers highlights of this fantastic around the world adventure with an explanation of the preparation, lots of pictures and maps, and plenty of enroute stories. Over 100 presentations have been given to date and feedback has been positive and supportive. The trip and presentations are made to increase awareness and donations for ALS/Lou Gehrig's disease. No fee is charged; however, it is requested that the club or members donate to ALS. Some clubs have held raffles, others pass the hat. Donations have varied from $100 to $2200. 100% of donations go directly to ALS Therapy Development Foundation. The book about this trip, Upon Silver Wings, is available for purchase at the presentations. All revenue from the book also goes directly to ALS research (minimum $20 donation for the book). The presentation is made using a laptop and PowerPoint. A compatible projector and screen need to be provided on site. Thank you in advance.